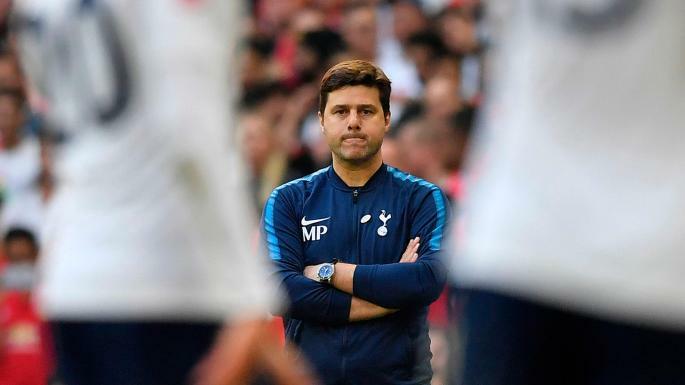 This is genuinely the last chance for Pochettino’s Spurs to win something; Poch may have signed a five year contract at Spurs but with the lack of contracts having pen to paper being put on them how long does this Spurs team have? This is Pochettino’s Spurs team; the team that has come to define Poch’s hard-pressing, energetic and young style. This is the team that elevated Poch, Spurs and a litany of young players to the world stage, but realistically how long does this team actually have? After Poch’s second season, when Spurs finished third, did anyone genuinely think we’d still be waiting for our first trophy under Poch in 2018? There’s no denying that this Tottenham team has surpassed any expectations most Spurs fans had about Poch’s first four years in charge, even the board wanted Spurs to be competing for the Champions League when entering the new stadium (although with the way the build is going we could have another decade of Champions League football before anyone kicks a ball on that pitch) but the signs for the current squad are becoming ominous. By ominous I mean ‘Spursy’ and by ‘Spursy’ I mean it looks like things could get seriously problematic, and fast. The contract situation at Spurs has been heavily reported on and discussed as has our lack of summer signings, we were told that keeping our best players was better than a new signing, but what happens when those players leave? Other than Harry Kane it’s tough to say whether our star players feel an affinity towards Spurs, if they would be willing to put becoming legends at Tottenham over winning copious amounts of silverware with one of Europe’s elite clubs. It uncomfortable to admit but could we really blame Eriksen and Dele Alli if they wanted to ply their trade at one of Europe’s biggest teams? It’s not like they both haven’t given us season after season where other professionals would’ve jumped ship at the first sight of huge contract and tutelage under a bald bloke in a Stone Island jacket…. This season is for Pochettino and Spurs our last genuine chance to build something with this current squad, Poch has built something at Spurs but until we finally get our hands on some silverware Tottenham will always be seen as a ‘nearly’ club. For this current crop of Spurs players playing in the Champions League isn’t enough, gone are the days when finishing fourth and getting a qualifier for the Champions League was enough to be a historic season for Spurs, we need to show to our current squad that Tottenham are a team that can win silverware, and do it consistently. Tottenham as a team cannot afford to lose our current squads best players; our board just spent a whole transfer window trying to haggle down the price for the best player from a team that lost the Championship play-off final, how can we genuinely expect our team to replace world beaters like Eriksen and Alli if we can’t afford to poach youngsters from Championship sides? This is why this season is so important, we are truly running out of time. When Tottenham finished third in Poch’s second season all the talk was of how young our team was and what that team could go on to do; but this team has had success in terms of finishing in the top four but has had as much joy in the domestic cups as our squads that had Noureddine Naybet and Kyle Naughton in. Tottenham can take pride in the fact that our manager is a genius when it comes to full-backs, that our world-class striker is an academy product who loves the club and the fans, that our team cost less than half the strikers at our rival clubs but in the grand scheme of things these don’t really matter; what matters is our team finally winning something and giving the fans what we so desperately need; a trophy. With the stadium seemingly draining all our clubs finances and player contracts seeming to be in an everlasting deadlock this season could be our most important season since Pochettino took over.